The manufacturer of your car provides a factory maintenance guide specific to the year and model of our car. This is your minimum guide for routine maintenance. Not all vehicle models require the same schedule so it’s important to use the specific manual for your specific year and model. At Allstate Transmissions and Auto Repair, we can evaluate your specific vehicle service needs based upon your driving habits and mileage. With our constantly updated scanners and diagnostic equipment, we have the ability to look at your car on a case-by-case basis, to advise you of the “meat and potatoes” of your specific factory service needs and not trouble you with unneeded fluff. We will run a major scan of your vehicle’s onboard computer to and explain any findings in detail. 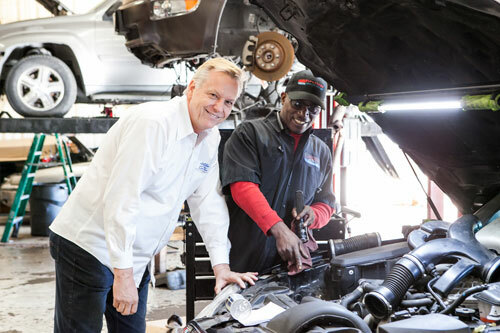 We are ASE-Certified Master Technicians with Factory Training in Chrysler, Jeep, and Mitsubishi, and we have the latest equipment for these and all makes and models. Increased Cost Savings: It may sound ironic, but getting regular maintenance on your car can help you to decrease the costs. 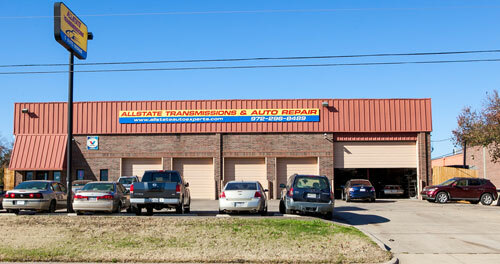 Your mechanic has the opportunity to check for problems and potentially avert costly repairs. The costs of routine car maintenance and repairs over time will be much less than the major problems that can be caused by neglect. Increased Reliability: Drivers in Dallas and surrounding areas rely on their cars. Whether driving to work, school, the beach, or on errands, Dallas is definitely a city where most people do not use public transportation. Having a routine check up on your car and performing the factory recommended changes at the appropriate times will keep your car reliable, and running smoothly. Problems can be solved before they become major, and you will be able to continue to count on your car for daily driving. Increased Value: The value of your car is determined by age, condition, and mileage. A car that has been consistently serviced according to the factory recommended schedule will have significantly more value than one that has not. If you continue to keep your car serviced, the increased value will be helpful if you plan to sell the car or use it as a trade in. To find out the actual value of keeping your car in good condition and keeping on schedule with routine maintenance, you can look online at sites that give you an estimate of how much your car is worth. Most of them will have a choice of poor, fair, or mint condition for you to choose from. Try each of the settings and notice the significance in price on a mint condition vehicle compared to poor or fair. SCHEDULED MAINTENANCE IS CRITICAL TO FLEET MAINTENANCE OPERATIONS. When it comes to commercial accounts we can assist you with all your fleet maintenance needs. We currently service many local businesses with all their fleet maintenance needs. As a business owner fleet maintenance is essential for day to day operations, safety and performance.